We're one week away from Valentine's Day and I'm sure you've already made your reservations for dinner, or you're planning to cook something special. Each year cards, flowers, and sweets are on people's minds. So, while I can't help you pick out a card or recommend a florist, I can tell you about where to get something sweet for your Valentine this year! Milk Jar Cookies is one of my favorite places for cookies in Los Angeles, and they always put together great cookie gifts. For Valentine's Day they're offering a Milk Jar Crate with 1/2 dozen of their cookies, 1 quart of milk, 2 heart milk jars, and 2 heart paper straws, all in a reusable rustic crate. Available for local delivery or pick-up, you can call to reserve yours. Manhattan Beach Creamery is popular for their Cream'wich ice cream sandwiches. They're also great for chocolate covered strawberries and for Valentine's Day they have three great cupcakes to choose from. Love Spell (chocolate cake, raspberry jam, white chocolate frosting), Lady in Red (red velvet with cream cheese frosting), and Beer & Pretzels (devil's cake with guinness, salted caramel, and vanilla frosting). You're probably familiar with Zoe Nathan of Huckleberry and Milo & Olive. She's also behind Sweet Rose Creamery, a small batch ice cream shop with coffee and fresh baked goods. While my favorite thing to order here is an affogato (ice ream topped with a shot of espresso), they are also offering a few special items for this week. Their Valentine sweets include a Raspberry fudge sundae, honey rum truffles, raspberry meringues, and strawberry marshmallows. So much sweet tart goodness! B Sweet started out as a dessert truck and quickly gained popularity, opening up a brick and mortar location on Sawtelle in West LA. The thing to get here is their famous Hot Bread Pudding. They rotate 15 flavors throughout the week, but the Salted Caramel made with butterscotch cookies and the Red Velvet drizzled with cream cheese frosting are great choices. Currently they're closed Mondays and Tuesdays. It's Saturday morning, the 14th, and you just realized that you can't make it to any of the locations above. The good news, there's probably a Susie Cakes near you! With a focus on classic treats made daily by in-house bakers, using the freshest & finest ingredients, Susie Cakes is great place to find cookies, cakes (the best old fashioned chocolate cake), pies, and cupcakes. Their cupcake flavor of the month is chocolate salted caramel, complete with a heart on top. If you have or are going to try any of these places, I want to hear about it. 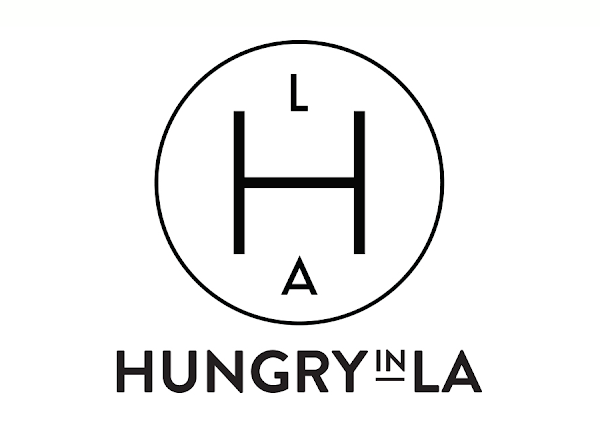 Leave a comment on Hungry In LA's Facebook page.